Weaning tends to be hotly debated by parents and can become something which can cause alot of worry for new and more experienced mums a like. 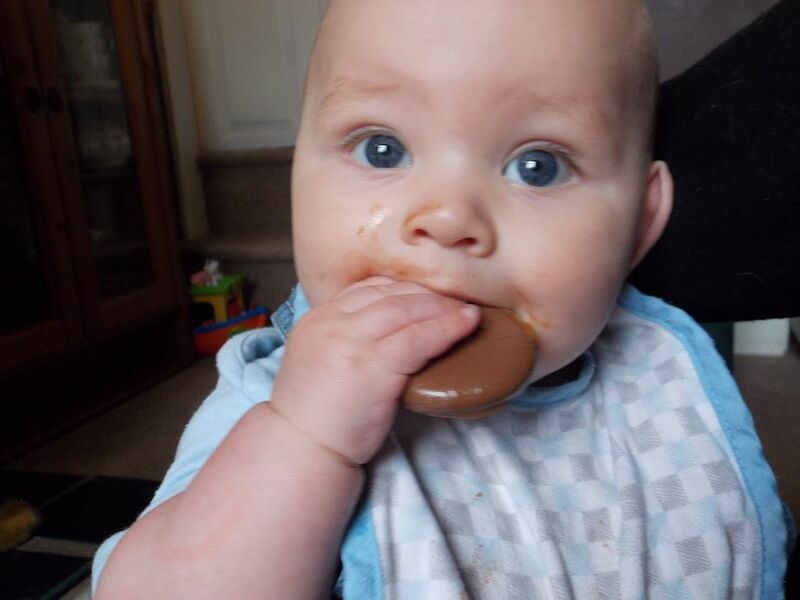 Many parents worry which method is best and how to combat a fussy sweet toothed baby. 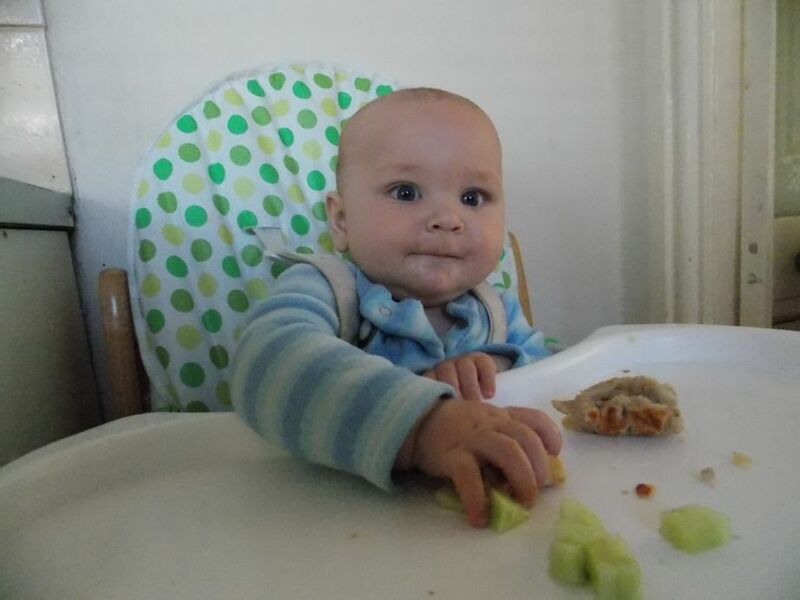 Noah is now 9 months old and has been enjoying food for a few months now. 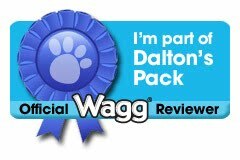 He will happily eat a wide range of foods tastes and textures. 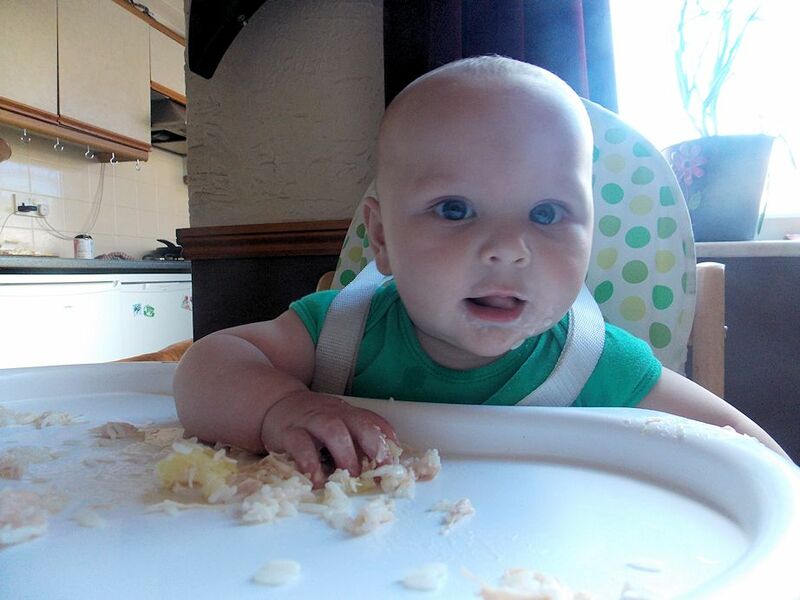 We took a nice relaxed baby led weaning approach. introducing him to food at his own speed and allowing him to decided how much he wanted to eat. As Noah is breastfed, he still gets a lot of his nutrition from breast milk and I intend on feeding him for a while longer, at least until his 1st birthday, so following the mantra 'food is fun until your one' I have been relaxed around how much he actually swallows. 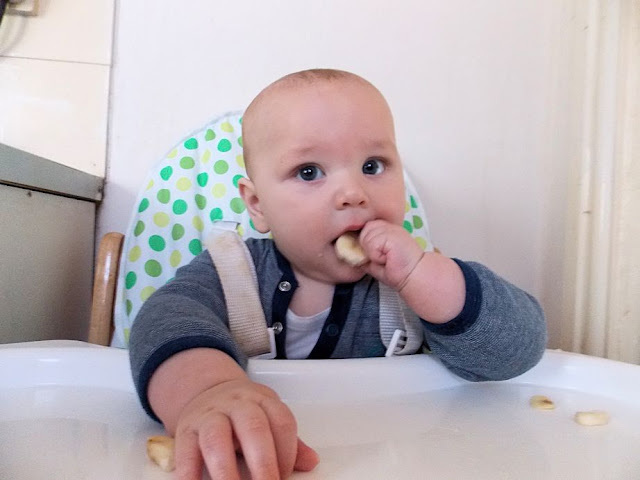 We started offering finger foods around the 6 month age mark, he could sit unaided at this point and grab and put food into his mouth. All food we ate as a family (within reason) was offered, toasted bread fingers, cooked apples, pears bananas, strawberries, mashed potato, broccoli, carrots rice and pasta. 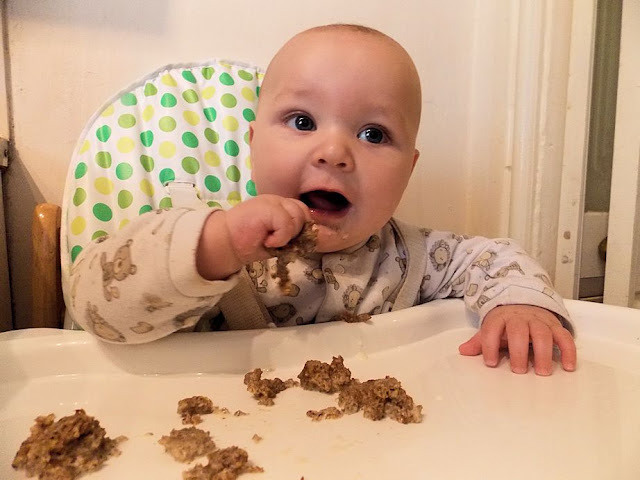 Initially small tastes were offered and Noah spent more time playing with the food than eating it, now however at 9 months old the mess is slowly reducing as he actually eats the food much more efficiently. 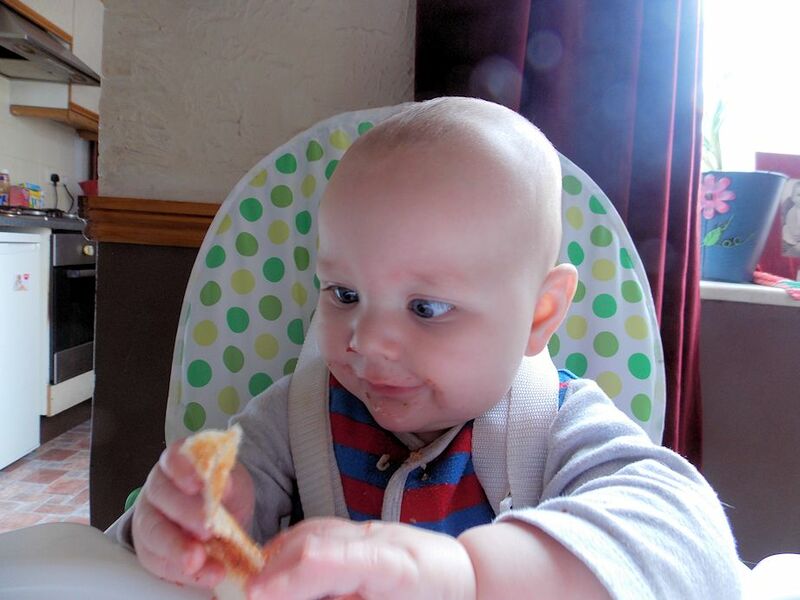 The bonus to taking a baby led weaning approach for us have been the ease and relaxed nature, if going out and about there is no worry about packing something for Noah, he has breastmilk if needed and can swipe some bread from a sandwich or a sausage roll or piece of fruit to munch on. At home, whilst cooking the meal for the family it is a great way to keep him happy and entertained, a few peas on his highchair give me time to dish up everyone elses meal, a slice of toast in the mornings allow me to ensure the others get their breakfast, freeing up my hands by letting him feed himself I have found it to be a great time saver. The only negative being the mess! For us baby led weaning has been enjoyable and stress free, we have not experienced any trouble with gagging or chocking, ensuring the food initially was finger sized and cooked to a soft consistancy meant he could manage it well, as he has got more expeirenced he loves smaller pieces such as garden peas and sweet corn, chererios, and cut up fruit. He also is happier with tougher food such as meat and crackers. If you are starting out on the weaning journey it can seem like there are so many things to think about, my number one piece of advice would be to relax and go with the flow. try not to worry about the amount of food your baby is eating, and try to offer them finger food after a milk feed so they are not really hungry which can result in getting frustrated at the speed of the meal, eating food takes longer and is not as instantly satisfying as drinking milk or puree. Remember to let your baby have fun and try not to interveen, leave them to explore the food at their own pace. They will learn to chew before they swallow which may mean to start with food is put in their mouth and spit out again, as soon as they get the hang of chewing then swallowing they find meal times more satisfying and a wider range of food can be offered.